The Moulin Rouge dancers of Paris set the record this year for ‘most high kicks by a single chorus line’. They sought to break the old record, a measly 450 kicks. These ladies set the bar at 720 kicks. That equaled out to 30 women preforming 24 high kicks each. 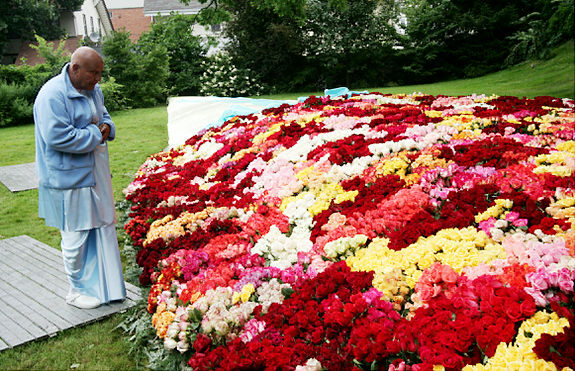 People do the darnedest things … especially while making Guinness World Records. 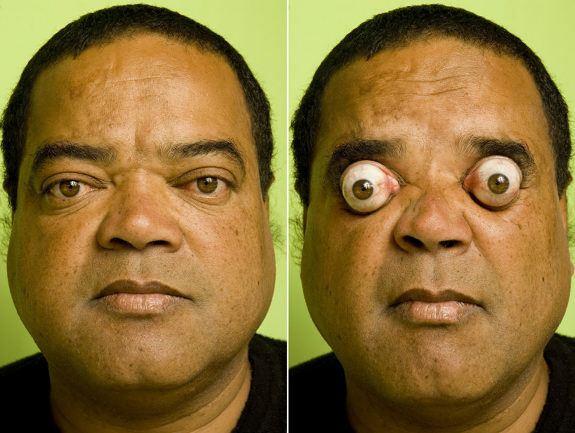 Check out some of the wackiest, craziest, and downright scary things people have done to break a record. When Thomas Lackey was born in 1920, he probably never dreamed he’d break a world record. On Nov. 18, 2010, Lackey sealed his legacy and became the ‘oldest wing walker’ at age 90. This is some hot stuff! Maximare in Hamm, Germany set out to claim the title for ‘most nationalities in a sauna’. Cramming in friends from 91 different nations, they beat the old record of 76. Nothing is cuter than dogs donning costumes! 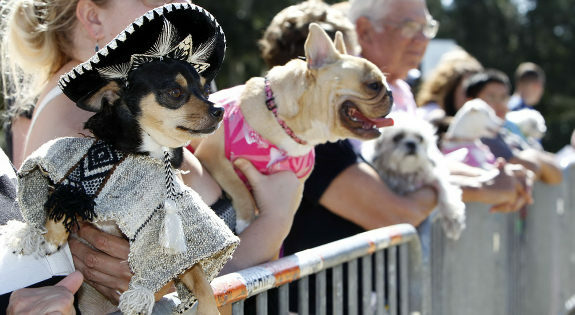 The 2010 record for ‘most dogs in costumed attire’ was set this year when 426 costume-clad pups attended Dogtoberfest in Dunedin, Florida. Czech Republic’s fakir Zdenek Zahradka (Little Garden in English!) waves to his supporters while emerging from a wooden coffin. He survived 10 days buried underground without food and water. Connected to the outside world only by a ventilation pipe, he beat out the latest record for being buried alive which was set at 4 days. No party is complete without this traditional Brazilian dance! 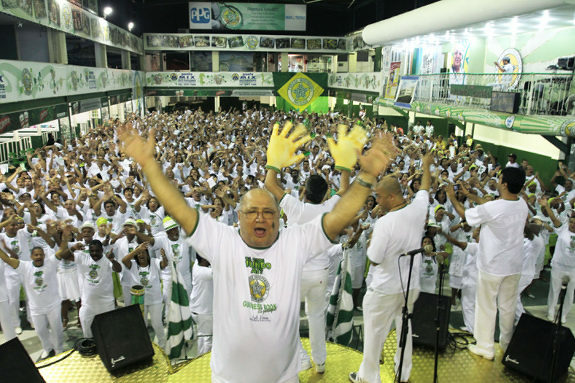 The largest samba dance involved 800 people organized by the Samba school, Mocidade Independente de Padre Miguel (Brazil), whose students danced for more than five minutes on in celebration of Guinness World Records Day 2010. Elaine Davidson from Brazil, holds the record for the ‘world’s most pierced woman.’ Davidson claims to have upwards of 1,900 piercings. Troy Polamalu, Pittsburgh Steelers safety, is no stranger to all things related to his hair. 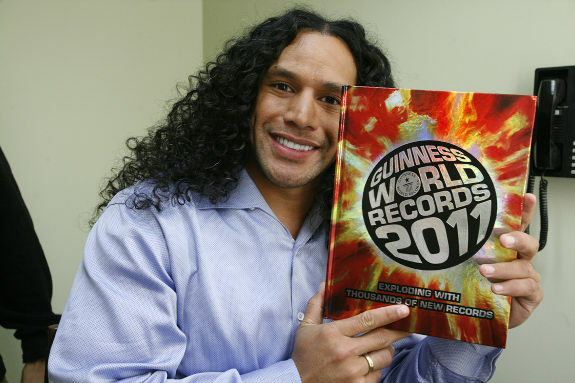 Polamalu stole the title for ‘most highly insured hair’ in November. Polamalu, is in his second year as as a spokesperson for Head and Shoulders shampoo, who has insured his hair for $1 million dollars with Lloyd’s of London. 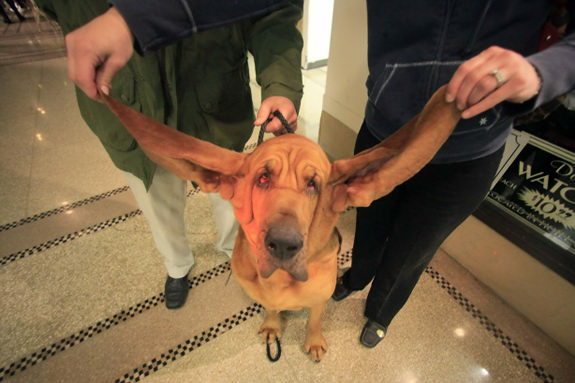 Meet Harvey, a 3-year-old Bloodhound, who wins the competition for ‘longest dog ears’. Harvey’s ear span reaches 14 inches long. What is 5.5 meters in length, 2.25 meters in width, 1.83 meters in height and can fit 30 people inside? 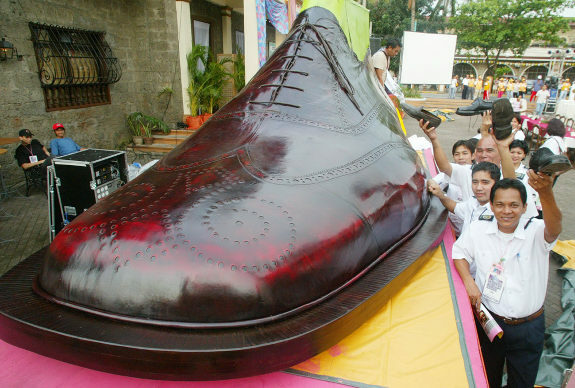 That’s right … the world’s largest shoe in Turkey. 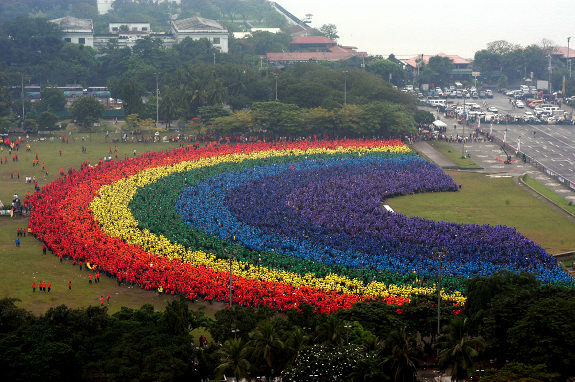 Some 31,000 students and faculty in the Philippines joined together to form the largest human rainbow. Spread the love! These Siamese twin brothers, Ron (l.) and Don (r.) Galvon hold the record for ‘oldest living male conjoined twins.’ They’re from Ohio. Meet Shemika Charles, the Guinness World Record holder for the Lowest Limbo Dancer. Quite an accomplishment and in a red leotard no less! Julia Gnuse is officially the most tattooed woman in the world, with 95% of her body decorated in ink. She started getting tattoos 20 years ago, when she was 35 years old to cover up a genetic disorder. A minuscule cow, Swallow, has been named the world’s smallest by Guinness World Records. 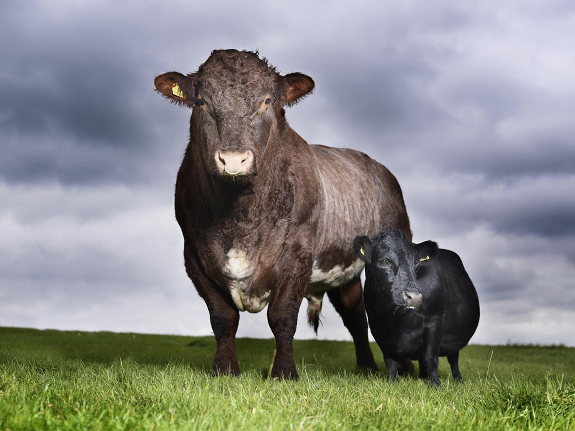 Guinness says the sheep-sized bovine from the West Yorkshire region of northern England measures roughly 33 inches from hind to foot. All of her 9 calves have outgrown her – the youngest standing next to her on the left. 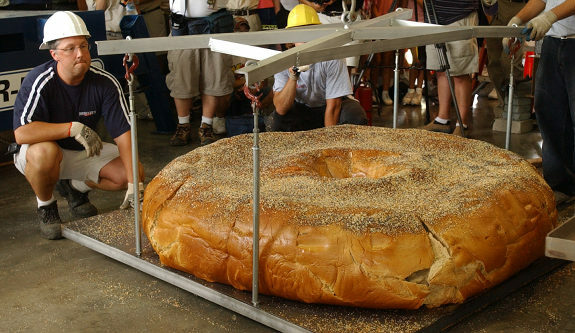 One is the size of a bagel. The other weighs more than Eli Manning. 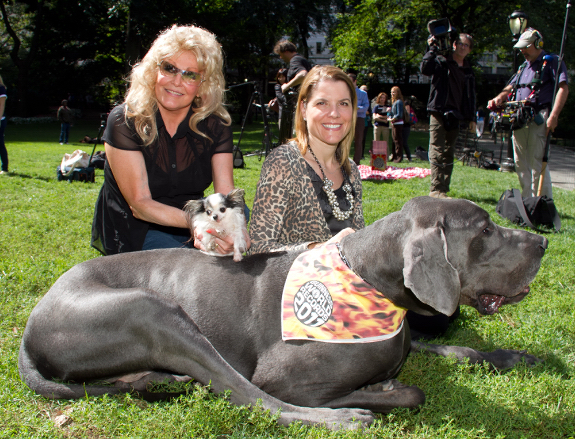 The tallest and tiniest dogs in the world sized each other up in Central Park on Sept. 15 after making it into the book of Guinness World Records. Boo Boo, a long-haired female Chihuahua, is just 4 inches tall and weighs only 2 pounds. She went paw-to-paw with Giant George, a 43-inch-tall Great Dane who tips the scales at 245 pounds. Here Berg unveils his 400-square-foot Key Card Hotel – made with more than 200,000 Holiday Inn key cards – at the South Street Seaport. The incredible Key Card Hotel features a guest bedroom, bathroom and lobby with life-sized furniture made out of key cards. Berg takes a break on the key card bed. The 34-year-old professional cardstacker has also broken the world record for World’s Tallest House of Freestanding Playing Cards in 1992, and has been commissioned to break his own record a number of times since then. Well folks, they finally did it! 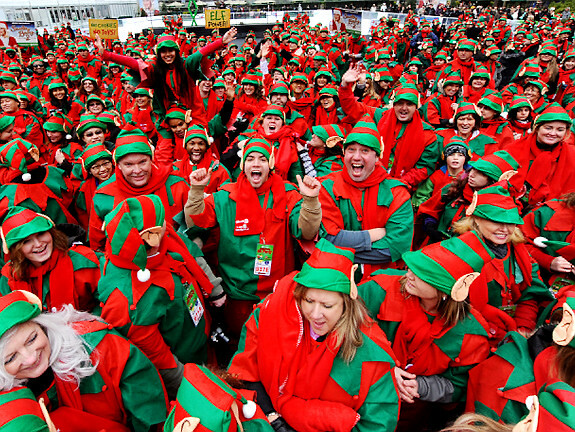 ABC Family set a new Guinness World Record for the largest gathering of Santa’s Elves in one place – 607 to be exact – on Dec. 7 at The Pond at Bryant Park. An 11-year-old boy got slimed on his birthday. 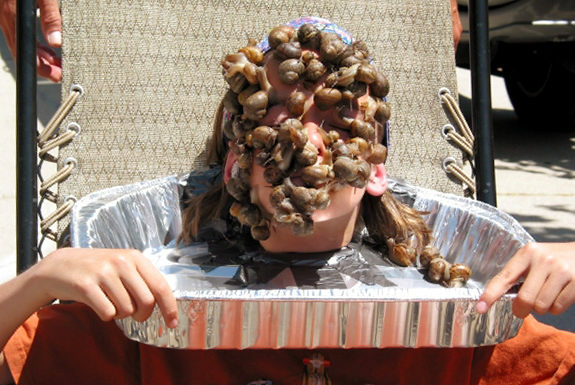 Fin Keheler allowed 43 snails to be put on his face for 10 seconds in a gross effort to surpass the Guinness World Record of 36 set in 2007. 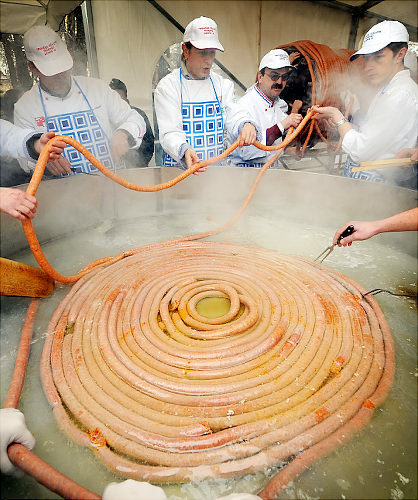 On February 14, in the eastern Croatian town of Vinkovci, a team of cooks prepared the world’s longest sausage. At 530 meters, it easily bested the previous record of 392 meters held by a team from Romaina. 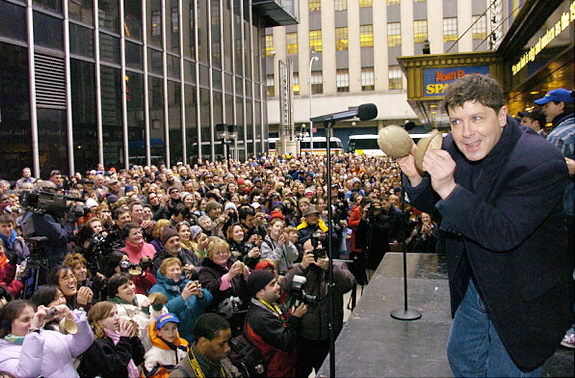 Check out other Guinness World Records. A group of 116 young men and women braved the cold weather wearing nothing but underwear to help Fair Trade’s ‘Pants to Poverty’ cause. They also set a brand new Guinness World Record for the largest gathering of people in their underpants, at St. Pancras International rail station in London, England on Nov. 13. 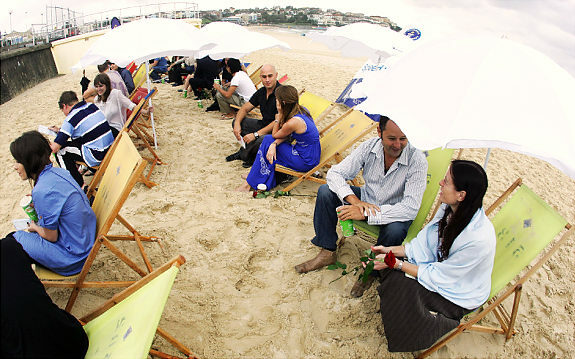 Single Sydneysiders practice for the World’s biggest speed date attempt on Bondi Beach on Feb. 14, 2008 in Sydney, Australia. Thousands of Australian singles attempted to set an official Guinness World Record for the world’s biggest speed date to be held simultaneously in major cities around Australia. 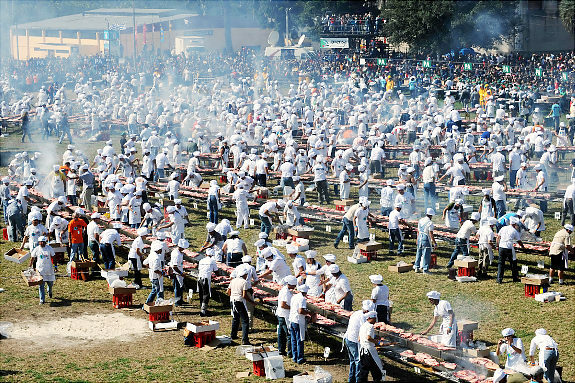 Cooks grill beef in a 1,500-meter long broiler during ‘The World’ s Biggest Barbecue,’ an event in which 12,000 kg of beef was cooked on April 13, 2008. 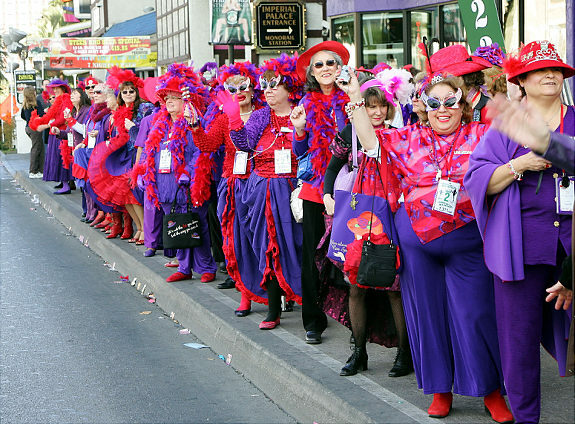 About 1,700 members of the Red Hat Society members lined a Las Vegas Strip sidewalk to attempt the Guinness World Record for most people in a chorus line on Jan. 26, 2008 in Las Vegas, Nev.
Sri Chinmoy, a meditation teacher, accepted the world’s largest bouquet for his 73rd birthday present from Ashrita Furman in 2004. Svetlana Pankratova struts her legs in a limo in Times Square – she has the world’s longest legs at 52 inches. 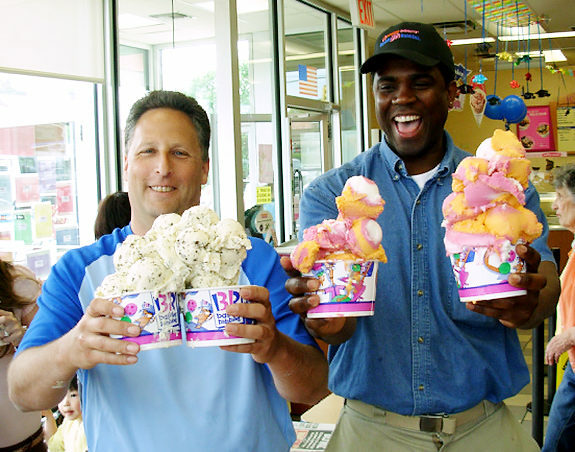 Mitch Cohen, from Flushing, Queens, became the fastest ice cream scooper in Guinness World Record history when he scooped 18 scoops in 18 cones in one minute flat. The Ladies Of Skyy, the famous ’80s ‘old school’ R&B group created the largest Kazoo band in the middle of Harlem in New York City. 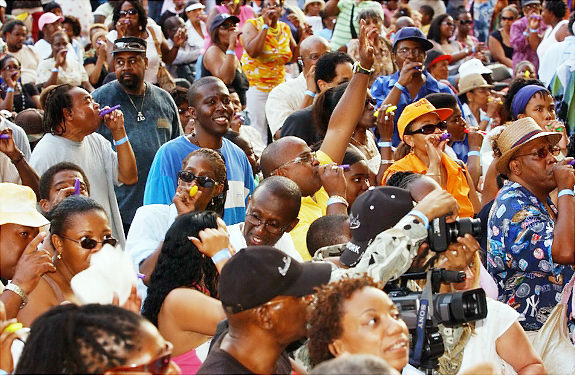 They signed up over 3,000 Kazoo players on 125th St. to break the Guinness World Record for the largest kazoo ensemble. 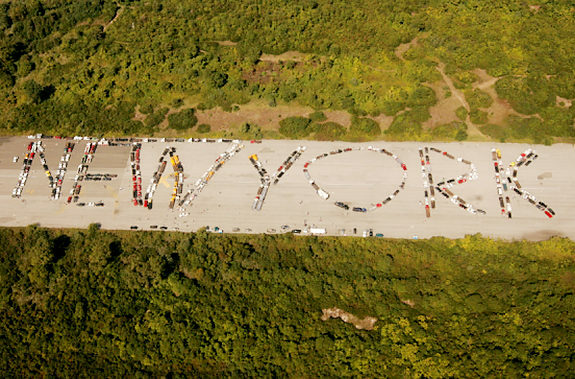 New York towing industry attempted to break the record for world’s largest tow truck parade; more than 400 tow trucks assembled at Shea Stadium and rode to Floyd Bennett Field at Gateway National Park, spelling out New York. 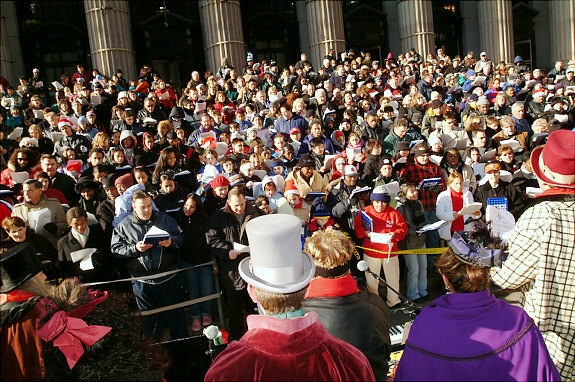 Hundreds of people gather on the steps of the James A. Farley Post Office on Eighth Ave. in New York to attempt to break the record for the largest carol service. Brooklynite Jonathan Rosen tried to gather enough people in Prospect Park in order to break the Guinness World Record for the largest snowball fight. 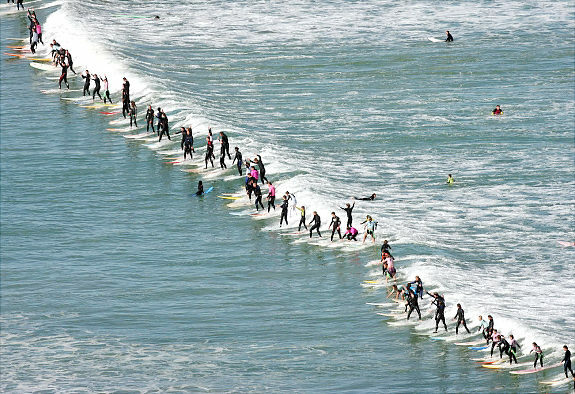 Surfers line up in an attempt to break the record for the most surfers on one wave at Muizenberg in Cape Town, a year later, surfers attempt to break the record again in Brazil..
Celebrity tattoo artist Kat Von D, l., and Beatrice Zaragoza attempt a 24-hour Guinness World Tattoo Record at their L.A. Ink tattoo parlon in West Hollywood, Calif. in 2007. 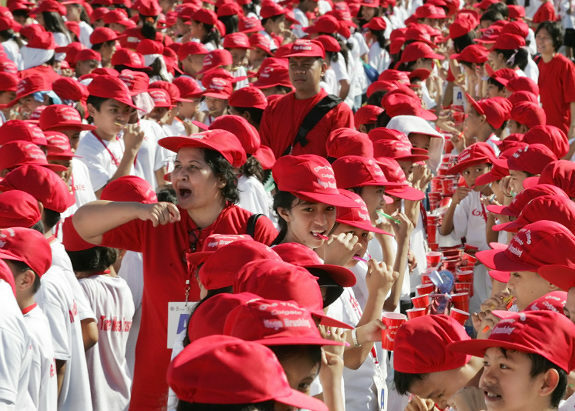 About 10,800 students brushed their teeth for about three minutes in an attempt to break a Guinness world record of ‘most people brushing their teeth simultaneously’ in Manila, Philippines. Norman Perez, 24, of Burbank, Calif., sat at his computer for four days in an effort to set the first Guinness World Record for longest period of instant messaging on a computer keyboard. Perez typed for 96 consecutive hours and was allowed a five-minute break for every hour spent typing according to rules specified by Guinness World Records. 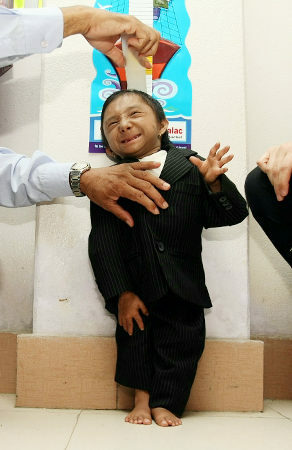 A teen from Nepal has reached new heights – as the world’s shortest man. Khagendra Thapa Magar, who turned 18 on Oct. 15, has finally been granted that coveted title by Guinness World Records. Jordan Romero, a 13-year-old boy from California, is officially the youngest person to ever climb Mount Everest,in a group with his father and three Sherpa guides. 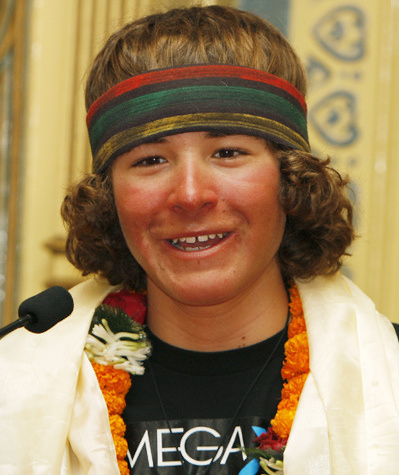 The previous youngest climber was Temba Tsheri of Nepal, who was 16 years old when he reached the mountain’s peak.